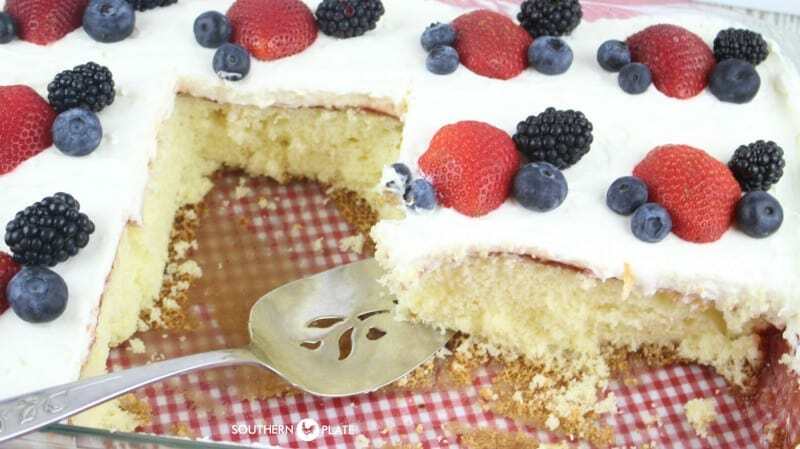 A rich and finely crumbed baker style cake topped with a slathering of preserves, a fluffy whipped Neufchatel icing, and garnished with fresh berries! This cake is destined to be a classic for birthdays, showers, anniversaries, and even weddings. I developed this recipe out of my undying love for the Chantilly Cake at Publix supermarkets here in our area. My husband and I have birthdays just two weeks apart so a few months ago we decided to head over there and pick out a birthday cake for ourselves. Chantilly Cake immediately caught our eye, we took it home, and fell in love. A few weeks later when we found ourselves buying another one and I knew it was time to come up with my own recipe. This starts with a boxed mix to keep it simple, but we incorporate a few tricks to spruce that mix up a bit. A light layer of berry jam sets it off and a fluffy whipped Neufchâtel icing completes the magic. Garnish with berries for the final touch to what may very well be one of the best cakes you’ve ever tasted. Seriously. There are a lot of ingredients to this cake but don’t let that fool you into thinking it’s high maintenance. For the cake, you’ll need: Duncan Hines White Cake Mix*, large eggs, whole milk, and butter that has been melted and cooled slightly. Exact measurements are in the printable recipe card at the bottom of this post. 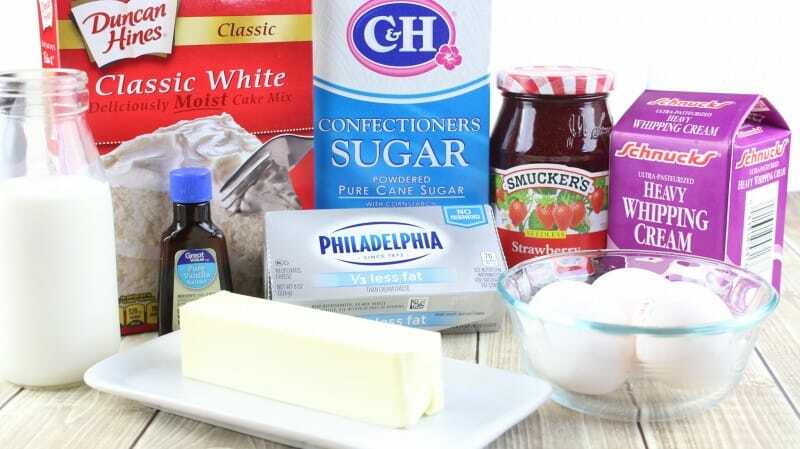 For the topping you’ll need: Strawberry Preserves, Heavy Cream, Powdered Sugar, Neufchâtel Cheese (it’s right next to the cream cheese and says 1/3 the fat on the package), and some vanilla. To garnish, and this is important, fresh berries are a must. They absolutely complete this cake. Just grab your favorites. *You can use another cake mix but I used Duncan Hines when developing this and it turned out so great that I’m reccomending that. Place all cake ingredients in a large mixing bowl. Beat with electric mixer until well combined and smooth, scraping down sides as needed, about two minutes. Pour into greased 9×13 baking dish and bake at 350 for about 35-40 minutes or until center springs back when pressed lighting with your finger. 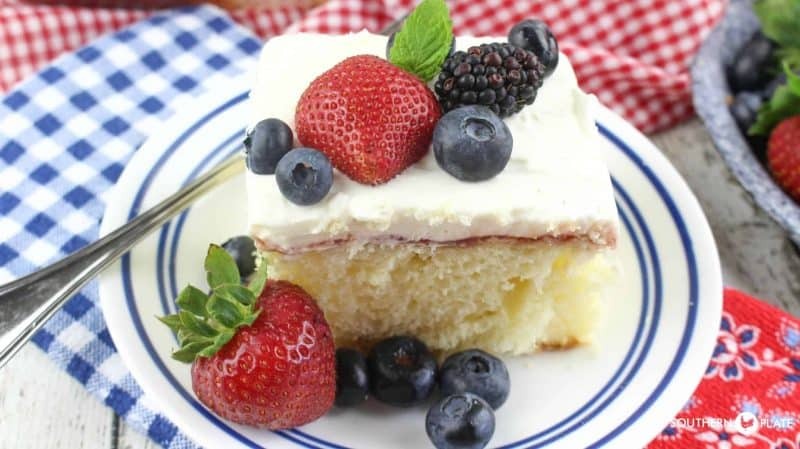 While cake is still hot, place preserves in a microwave safe cup and microwave in 30 second intervals, stirring after each, until melted and pourable. 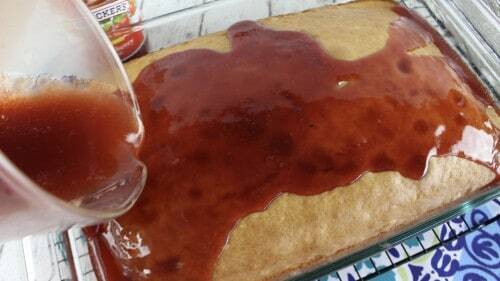 Pour over top of cake, spread to cover if need be. You don’t have to poke holes in it, just spread this over. 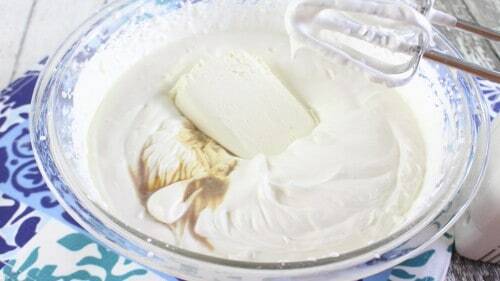 To Make The Icing: Place heavy cream and confectioner’s sugar in mixing bowl. Beat with electric mixer until soft peaks form. Add softened cheese and beat until stiff peaks form, this will happen kinda quickly. Spread onto fully cooled cake. Garnish with berries of your choice, cover, and refrigerate for several hours before serving. Oh my goodness, I am so excited about the thought of y’all trying this!!! Because it really, really, really is THAT GOOD! And you NEED it in your life! Place cake mix in large mixing bowl. Add whole eggs, milk, and melted butter. Beat with an electric mixer until blended and smooth, about two minutes, scraping down sides as needed. Spray a 9x13 baking dish with cooking spray. Spread cake batter evenly into pan. Bake at 350 for about 30 minutes, or until toothpick inserted in center comes out clean. 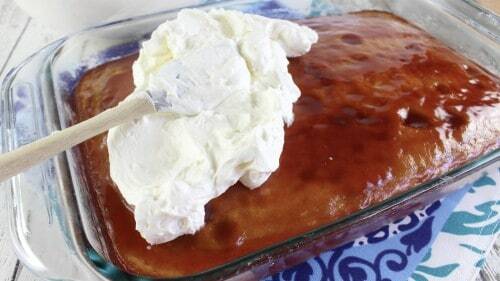 Place heavy cream and confectioner's sugar in mixing bowl. Beat with electric mixer until soft peaks form. Add softened cheese and vanilla and beat until stiff peaks form, this will happen kinda quickly. Spread onto fully cooled cake. 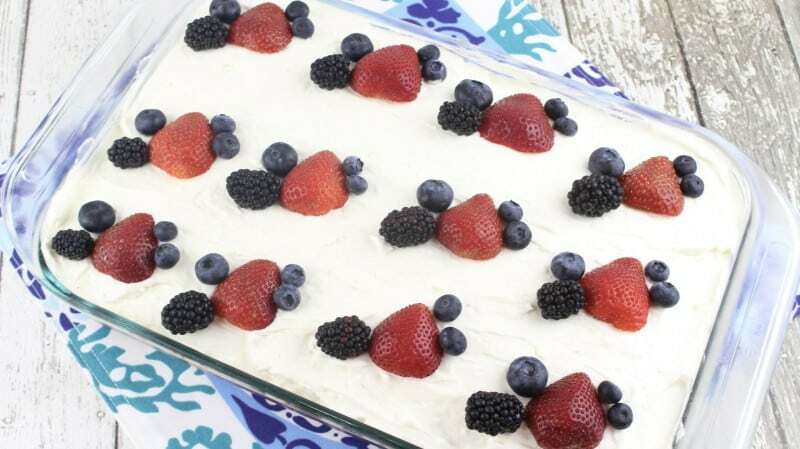 Garnish with fresh berries, cover, and refrigerate for several hours before serving. *This is found right next to the Cream Cheese and costs about the same. This recipe is a part of Meal Plan Monday and the Weekend Potluck! God’s blessings on you and yours as well Betty!! Absolutely, it does really well made the night before. I am so excited to be making this for Easter dinner tomorrow! We always buy a cake at Publix when we are in Florida……no Publix stores up here in Michigan. I am sure that this will be even better! Blessings on you and yours in this holiest of seasons. I will have to try yours too Elizabeth!!! This cake sounds amazing! Adding this to my recipe bucket list! Thank you Heidi, I hope you all enjoy it!! Making this when all my babies are back from their vacations! It looks so good! I hope everyone has a great trip and you all enjoy the cake!!! Will be making this soon thanks Christy.. Thank you Daphne, hope you enjoy it!! I hope you get the chance to try it soon Pamela!! Cake mixes are back in my life. They are just too easy and too good. Life is too short to worry excessively over your food if you are trying to eat right for the most part. All things in moderation. Thank you, Christy, for this!! Looks so yummy!! 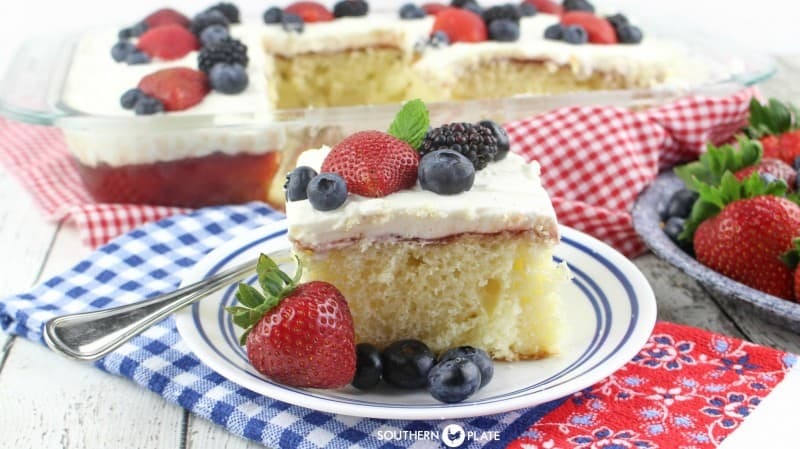 Can I make a layer cake using this recipe? I never have but I am sure you could. I have never heard of the cheese, can I use reg cream cheese? My goodness this looks yummy! I have added all ingredients not on hand to my grocery list and will be trying this soon. Thanks Christy, for yet another great recipe share! Thank you Lisa!!! I hope you enjoy it!!! I’m gonna bake this on a jelly roll pan (for extra servings) and serve it at my family reunion on the 23 of July. I’m gonna use my homemade strawberry fig preserves. TY for the recipe Christy. I can’t wait to hear how everyone likes it!!! Can other preserves be used in place of strawberry? 4 members of this household are severely allergic to strawberries. Thank you! Absolutely!! Peach or Cherry would be wonderful!! I just printed the recipe and intend to try it out when my grandchildren are back from vacation. Thanks for sharing. I hope that y’all enjoy it Ann!! I love your site. this is a cake recipe to keep. I don’t always have preserves on hand but have fruit pie filling I think I might try it with peach. I have a little neighbor girl that comes several times a wee and she loves peach. Young children is Gods Blessing to Seniors when the Grandkids go their own way. How precious!! I hope you and your friend enjoy the cake!! This sounds & looks outstanding. Am going to figure out an “occasion” to make this soon for hubby. This cake could be decorated in a myriad of ways to tailor it for birthdays, showers or any special reason or no reason at all. Thank you for sharing. Yes it could Gale!! I hope you find that occasion soon!! Just put the icing on it. Overlooked about soft peaks, whoops. It is thin, pourable not spreadable but it tastes good! Oh well, as long as it tastes good, that’s what matters!! Christy, I prefer to make the cake from scratch. 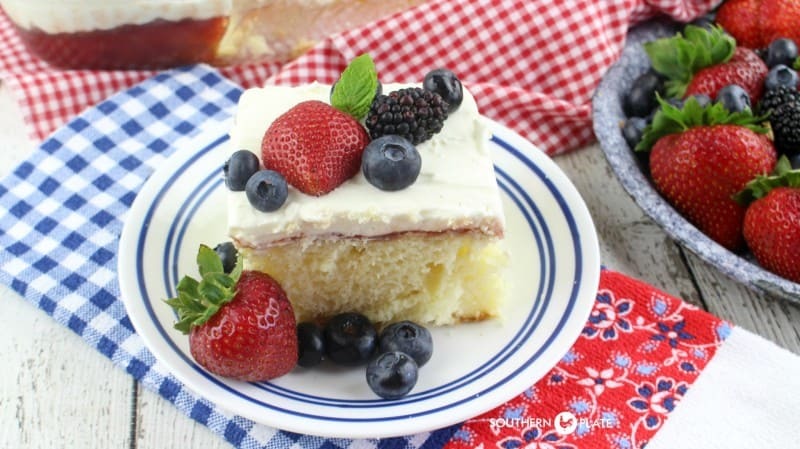 Do you have a favorite white cake recipe from scratch? I noticed your pie/cake server because I have one like it. Mine was a wedding gift from 51 years ago! Can’t wait to make this! I love the one at Publix and I think this one will be even better! Thanks for all your great recipes, they are definitely appreciated! I can’t wait to hear what you think Stacey!!! Your cake looks delicious i can’t wait to make it for my family. Thank you Gina, I hope you get the chance to soon!! I made this cake for my famliy they ved it i’ll be making it again. Hi Christy! Love love love your recipes!!! Soo homey and delicious! Made this cake for taking to supper with our best friends! Can’t wait to try it!! I can’t wait to hear what you all thought about it!!! Vanilla not mentioned in directions. Just add to icing? Yes ma’am, thank you for letting me know so I can fix that! 🙂 I hope you enjoy!!! Just had to comment on this recipe! I recently had family visit from Mississippi and being from the south they are all amazing cooks so I wanted to try to impress them. I decided to try this cake and it was a HUGE HIT!! My kids all asked me to make sure I kept the recipe so I could make it again —- and soon! Printed it, saved it to my Pinterest and shared it. 🙂 Thanks so much for making me a rock star! 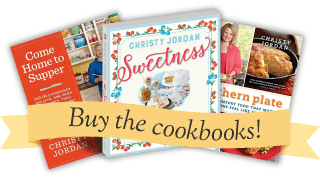 I’m thinking I might want to consider your cookbook and see what other yummy rock star dishes I might find. Bless you. Oh my goodness, that just made my day!!! I am so glad to hear it was such a big hit with your family!!! Christy, I just bought a 4qt. electric pressure cooker. So far the few recipes I have made have been great, but I wondered if you have any old-fashioned recipes for pressure cooker. I like that most of your recipes call for just plain old ingredients and I have made a lot of them. God bless you and your family. I made this cake for my birthday. I LOVED it. It will be my celebration cake every year for the rest of my life! I did share a few pieces and it was a hit with everyone. Thank you for such an amazing recipe. You are a blessing to all of us. Oh my goodness, I am so glad to hear it was such a big hit!!! I hope you have a blessed day!! Baking directions are different in the printable and the one in the story. I have found it takes 40 minutes when you use milk. I’m making this for a meeting tomorrow. I have tasted the chantilly cake from Rouses and Whole Foods. I am really hoping this will be just as good without the $30 price. I so enjoy your recipes. Keep up the good work. You’re a blessing!